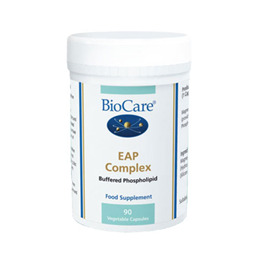 BioCare EAP Complex provides 300 mg of elemental magnesium combined with EAP which provides a highly absorbable and well tolerated magnesium supplement. Magnesium contributes to normal energy metabolism and the reduction of tiredness and fatigue. Magnesium Ethanolamine Phosphate, Capsule Shell (Hydroxypropyl Methylcellulose), Anti-caking Agents (Silicon Dioxide & Magnesium Stearate). One to three capsules daily with food, or as professionally directed. 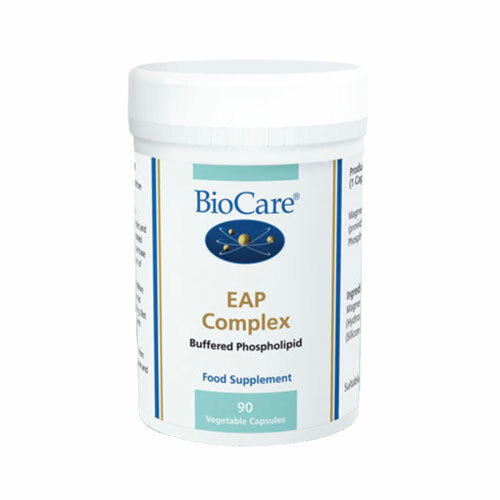 Below are reviews of BioCare EAP Complex Buffered Phospholipid - 90 Vegicaps by bodykind customers. If you have tried this product we'd love to hear what you think so please leave a review. 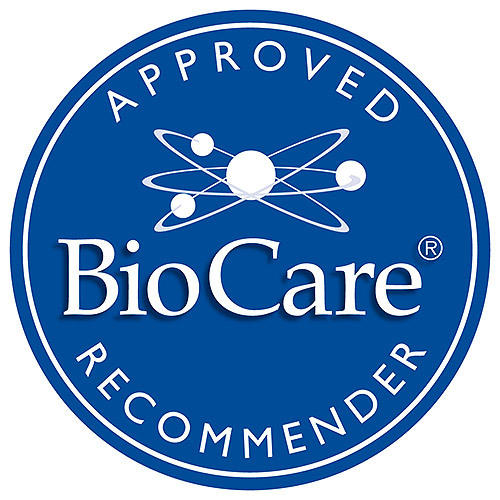 I highly rate BioCare products in general,but am impressed with the effects of taking magnesium supplements, I have auto immune conditions and feel this really helps to keep my energy levels higher than without it.